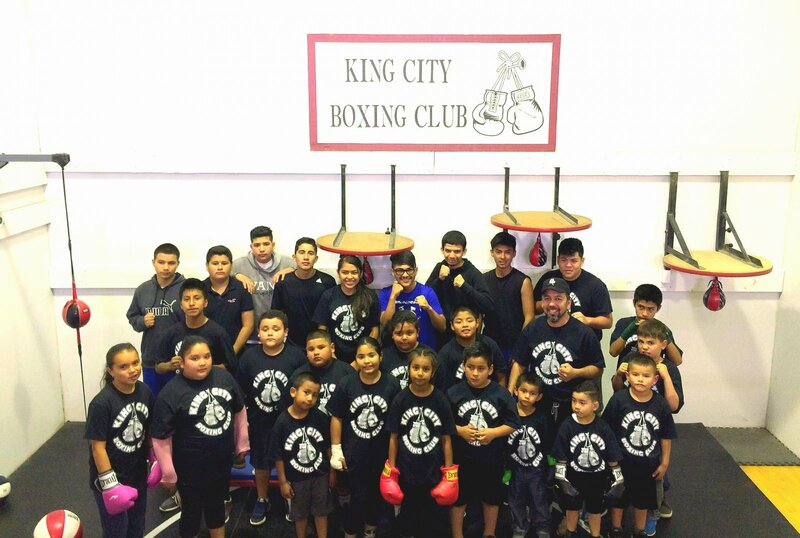 Don’t call the young members of the King City Boxing Club scrappy, call them hungry, says boxing club director and coach Rodolfo Tapia-Salazar. “They are hungry, with a lot of promise,” said Tapia- Salazar, the coach who turned pro at the age of 16 in Mexico. He provides a mix of toughness and compassion to impart life skills as well as discipline, commitment and respectful behavior. Currently 30-35 boys and girls come to the club four afternoons a week. The King City Boxing Club is one of 15 nonprofit organizations that serve Southern Monterey County that was selected to receive grants from the Southern Monterey County Foundation (SMCF), an affiliate fund of the Community Foundation for Monterey County. The 15 grantees – the most groups yet since the SMCF’s founding in 2014 – address a range of needs, from food insecurity, science education, historic preservation and helping youth aspire for self-improvement. The story of the SMCF is one of community building. The SMCF was established by area residents to support programs and services for the communities of Southern Monterey County. Founding families came together in 2014 to create an affiliate fund of the Community Foundation for Monterey County. The SMCF’s purpose is to raise funds locally to strengthen communities from King City to points south. It is guided by an advisory board of local residents who have a deep understanding of regional community needs. Grantmaking is made possible by the support of local individuals, families and businesses. To date, $72,600 has been granted. For more information, to see a list of past grantees, or to support the fund, visit www.cfmco.org/SMCF or contact Brian Thayer, CFMC Senior Philanthropic Officer at briant@cfmco.org or 831-884-5744. The mission of the CFMC is to inspire philanthropy and be a catalyst for strengthening communities throughout Monterey County. Thanks to generous community members who have created charitable funds in their lifetimes or through their estates, the CFMC has granted more than $160 million to nonprofits working towards healthy, safe, vibrant communities. In 2017 the foundation awarded $16.7 million to more than 500 grantees. The CFMC’s Center for Nonprofit Excellence provides local nonprofit organizations with high-quality professional development, information and resources. For more information visit www.cfmco.org, call 831.375.9712 or stay connected at www.facebook.com/cfmco or www.twitter.com/cfmco.